Anyway, tomorrow is a National Holiday here in Indonesia. I expect lots of traffic jams and a stressful day as per usual when I'm stuck in a traffic. But hey, that's what make life .. life..
Have an amazing day, all! Heart shirt!! Lovin' this look. You look so pop! 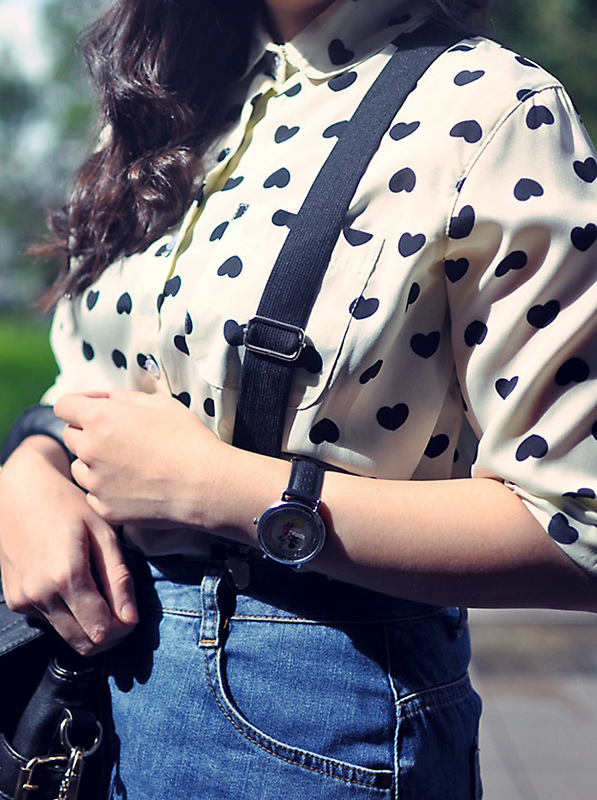 That heart print button down is just so adorable! 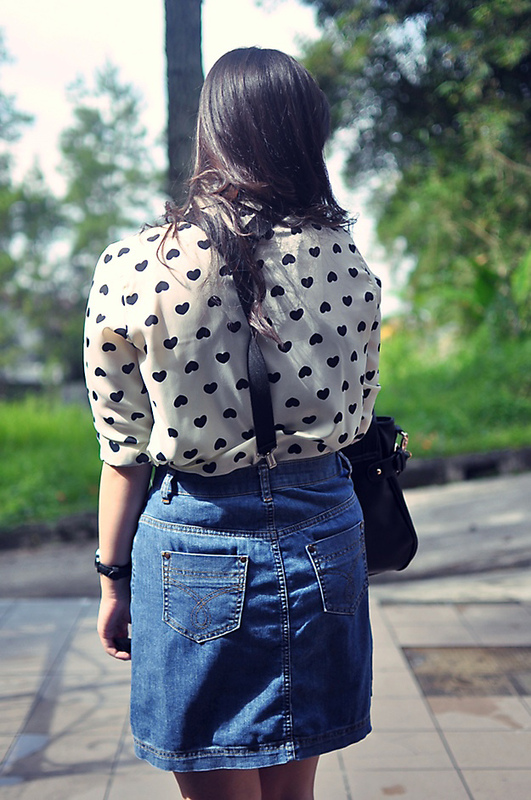 the heart shirt is way too cute, loving the buttoned skirt too!